Plant variety rights granted under the PVR Act were similar in effect, but different in precise scope, to plant breeder’s rights granted under the PBR Act. The focus of a PVR, under section 12 of the PVR Act, is on plants of the new variety, and reproductive material of those plants. A PBR, under section 11 of the PBR Act, grants exclusive rights in relation to propagating material of the variety. The term of a PVR was 20 years from the date of acceptance of an application for rights, while the term of a PBR is 20 years from the date of grant. There could be a significant delay between acceptance and grant under the PVR Act, because an application would be accepted following a check of certain formalities, whereas the rights were not granted until the substantive requirements of the Act had been satisfied. all pending applications were to be dealt with under the provisions of the (repealed) PVR Act. 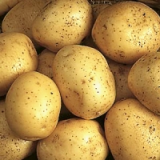 The question that was actually brought before the Federal Court by Elders was whether the expiry date of a PBR in ‘Nadine’ potatoes, originally applied for and ‘accepted’ under the PVR Act, but ultimately granted after 10 November 1994 was 20 years from the date of acceptance under the PVR Act (3 July 2012), or from the eventual date of grant (16 August 2015). This difference is probably not at all insignificant. In our experience, Nadine potatoes are quite common in the major Australian supermarkets, and there is no doubt a substantial commercial value in having around three years of additional exclusivity. In the end, Justice Lander was unable to answer the question put before him, because it did not make sense on a ‘correct’ construction of the Act. While the court’s analysis of the PBR Act is extensive, the ultimate problem – at least as we understand it – can be quite simply expressed. An application pending on 10 November 1994 was dealt with under the provisions of the PVR Act, and thus resulted in the grant of a PVR. Yet, although the transitional provisions allowed for conversion of existing granted PVR’s on 10 November 1994, there is no provision dealing with what happens to a PVR that did not yet exist on that date! The logical conclusion would seem to be that the Nadine potato is subject of a PVR under the repealed PVR Act, and not a PBR under the PBR Act. Such a ‘right’ is, presumably, unenforceable because the law under which it could be enforced no longer exists. Indeed, the correct view is probably that no exclusive right exists in the absence of the Act that created the right. The date of expiry is irrelevant! Justice Lander considered whether he could ‘correct’ the drafting error in the PBR Act, by ‘reading in’ additional words to the end of section 83, ‘save that a successful applicant will be granted PBR pursuant to the provisions of the Act’, in order to give effect to the intent of parliament. This is not a piece of legislation which can be redrawn by the Court. The unfortunate result which the drafting error discloses is a matter for Parliament. This decision affects all ‘rights’ that were pending on 10 November 1994, so it will be interesting to see whether the Australian Parliament moves quickly to correct this problem. Even assuming the correct expiry date to be 20 years from acceptance of the original PVR application, such ‘rights’ could still have as much as three and a half years to run.